There hasn't been much going on this week, so I'm going back to find some photos from last year's vacation to post. This first one is the Sultan Ahmed Mosque, also known as the Blue Mosque, in Istanbul, Turkey. 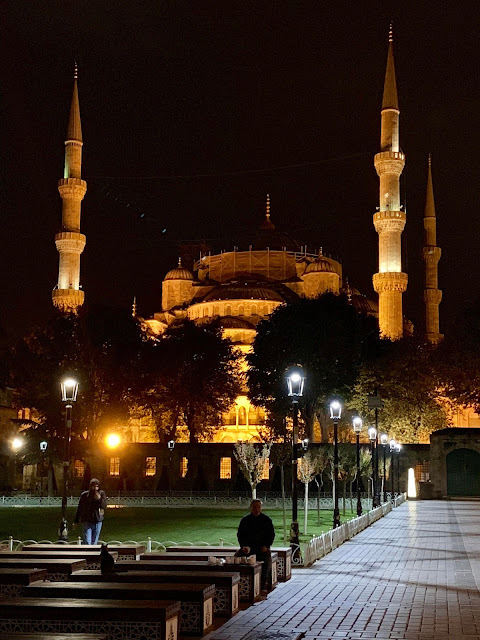 We weren't able to tour inside this mosque, as it was closed when we arrived in Istanbul, but we did take an extraordinary amount of time walking around it (it's big!) to find what we thought was the front door. Turns out we were in the wrong place so even if it were open, but we did get a mini tour of the surrounding neighborhood. It's really a serene area to walk around in and a beautiful sight at night.